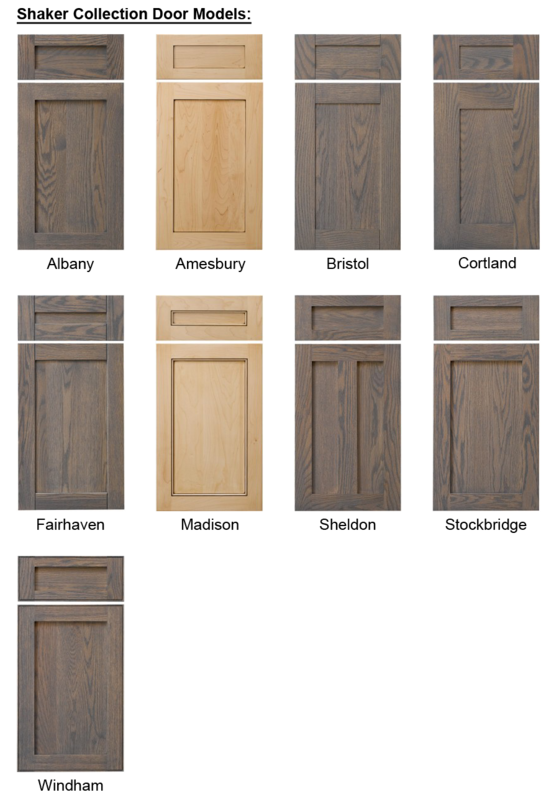 Our cabinets are all plywood cabinet and come with plywood shelves, Natural Birch solid wood dovetailed drawer boxes, Blum Tandem soft close glides and Blum fully concealed soft close hinges. 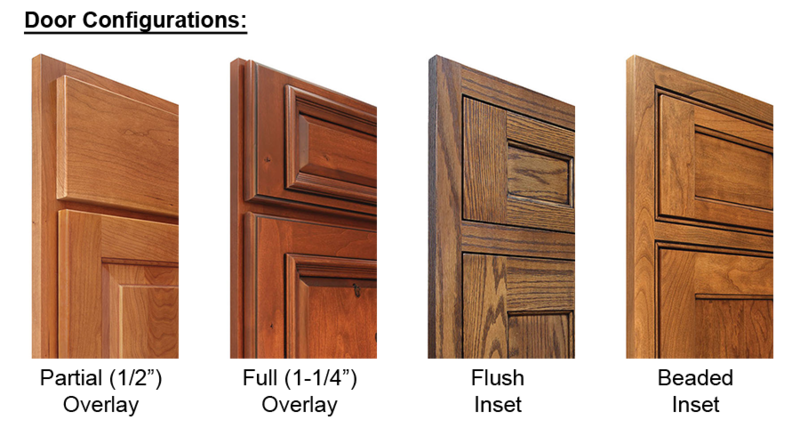 NOTE: If you are interested in Painted finish, choose Paint Grade Maple, Hybrid (wood frame/MDF panel) or MDF (all MDF door). 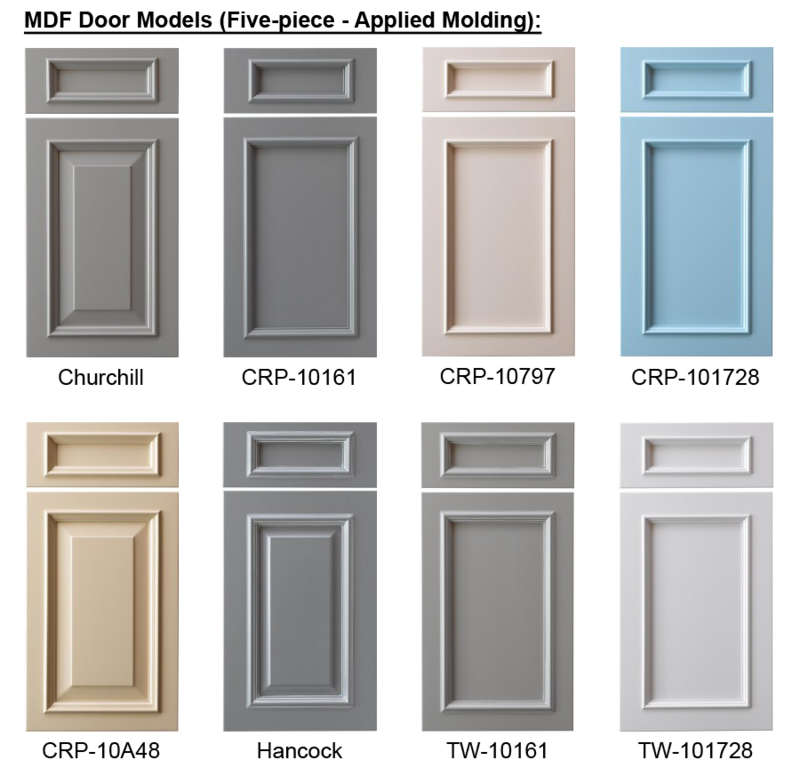 We strongly suggest at least Hybrid doors for painted finishes and full MDF is even better. 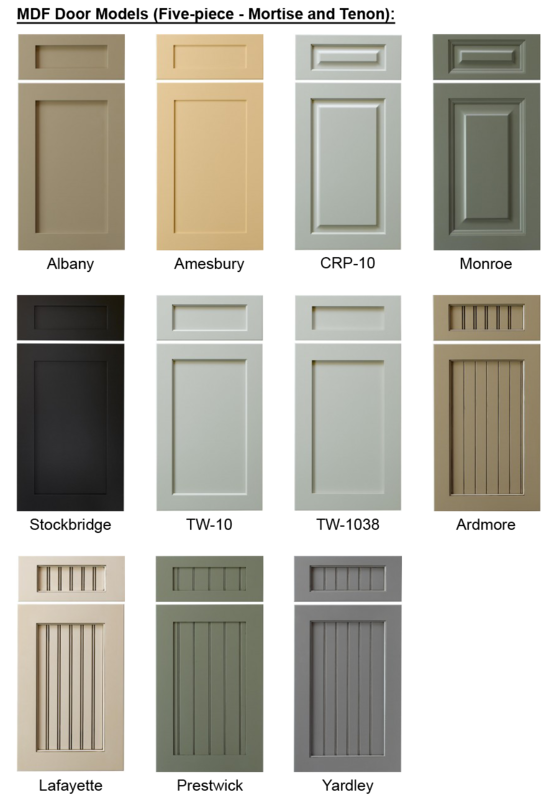 To keep things simple for your initial budget quote, choose either the simple shaker style or a traditional design. 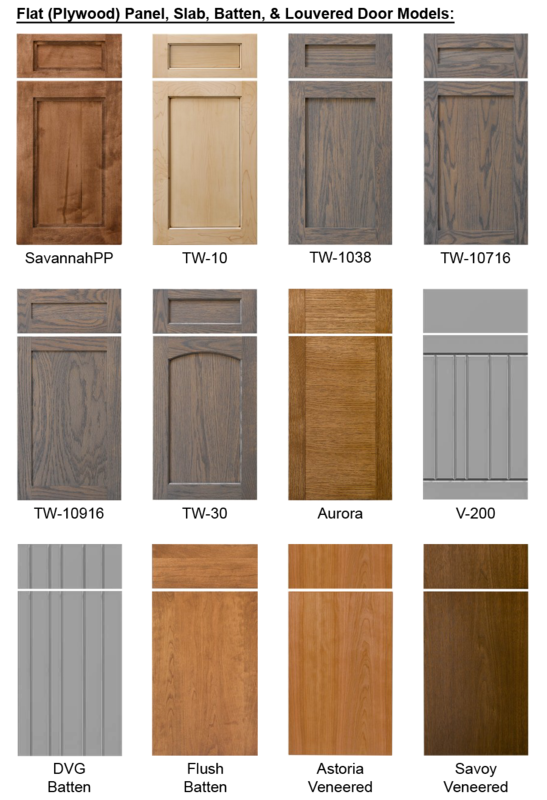 If you know your door design name, you can enter it in the space provided after making your selection. 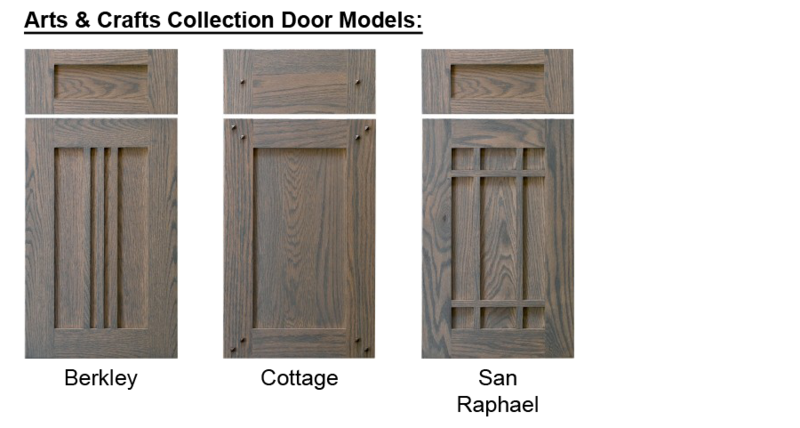 Please note, we will assume basic edge, bead and panel details as these do not affect your price. 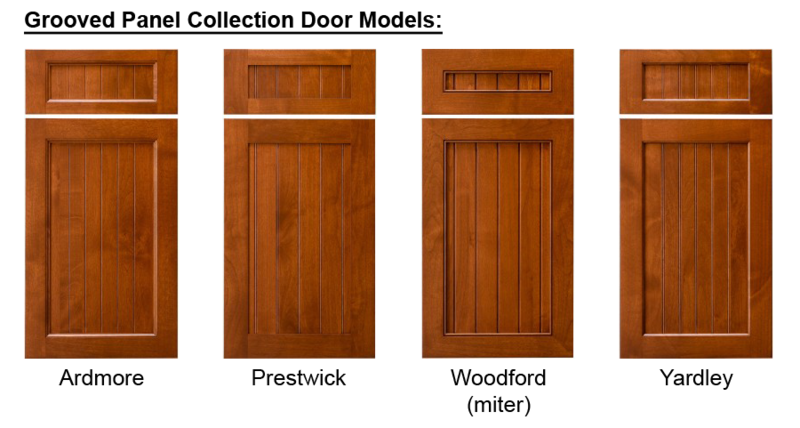 You can refine your selections with your sales rep once you receive your quote. Warning! 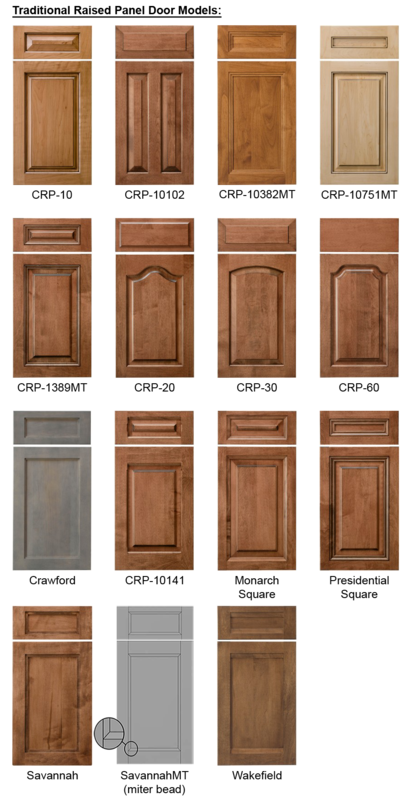 SHOW will display over 100 door images to scroll through... Click HIDE to remove the door images and continue once you have made your selection. Show me the doors! I love to see my options! Hide the doors! its just too overwhelming! 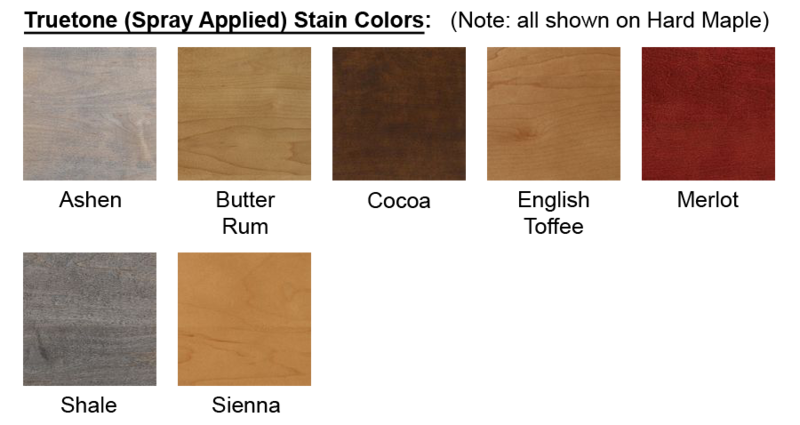 These images are merely to represent the finish type, not specific colors, etc. 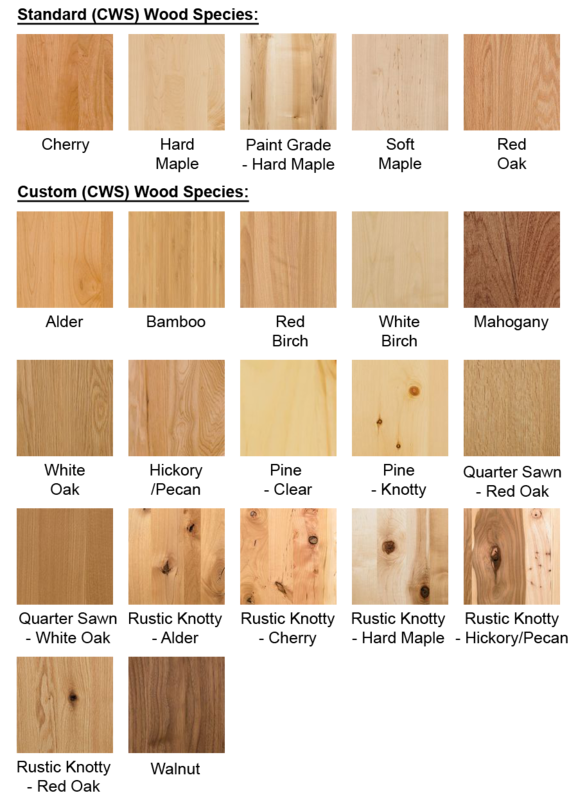 Please refer to the web site for images of color/wood combinations. 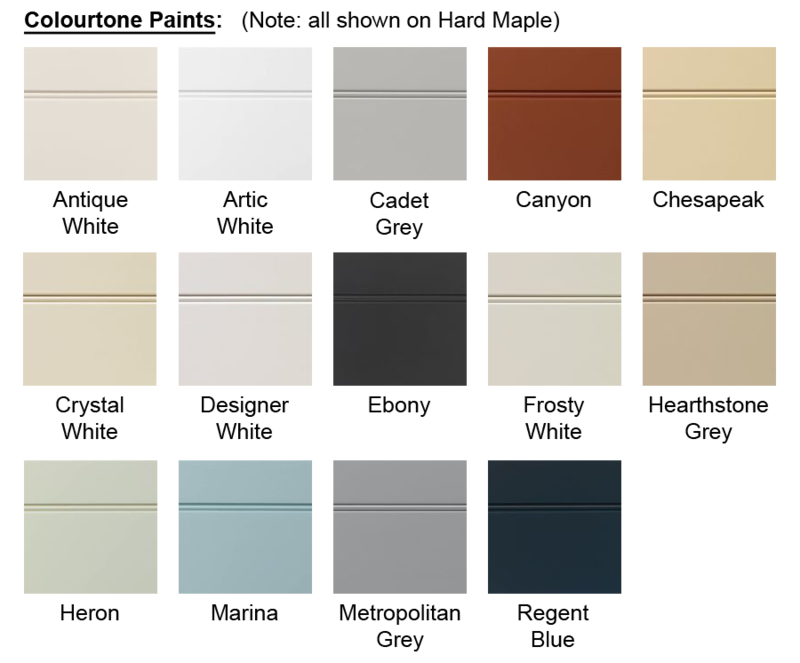 Note: Custom paint colors (Conestoga's 'Prism' collection of Sherwin Williams paints) are available, but at a significant upcharge. If you desire a custom 'Prism' color, please note it in the 'special instructions' box at the bottom of this form. All colors are the same price, so if unsure, just choose one for now. 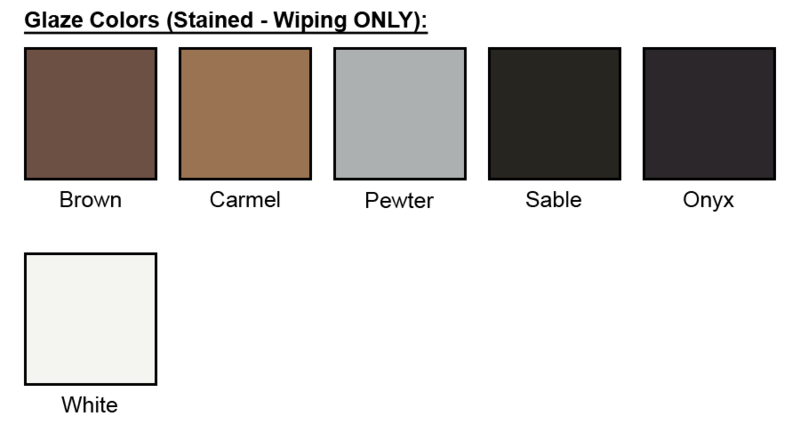 If you need a Custom paint color (Conestoga matches most Sherwin Williams paints), provide the color code in the next step. 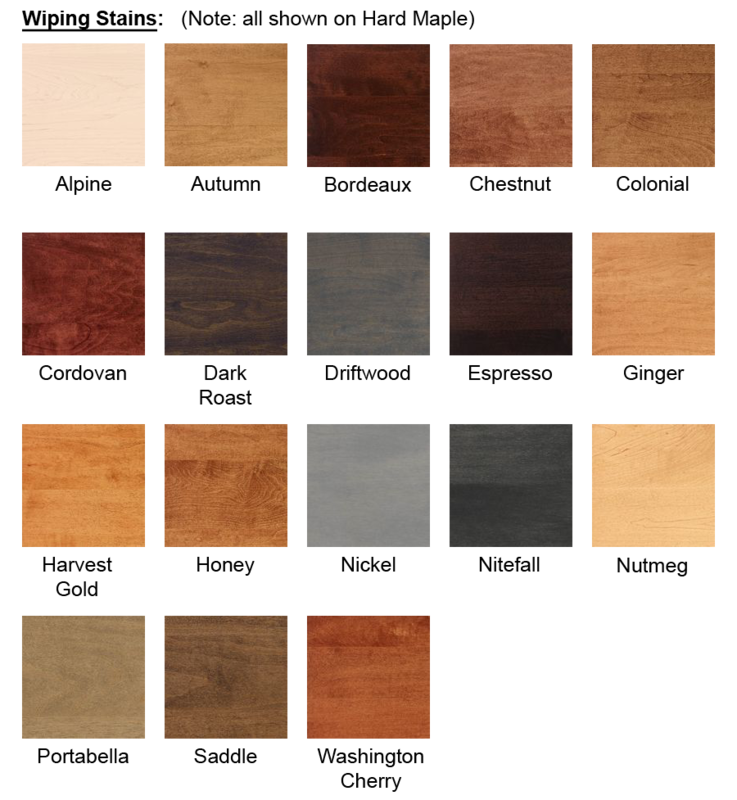 Available stain/paint colors and combinations can be viewed by clicking the following link (page 14-25): Finish Programs (Wood Offerings by Color Matrix). If unsure, choose any color. You can work out details later with your sales rep. Stain color has little impact on overall price (Trutone spray stains and complex wiping stains do add a few % to your job price). 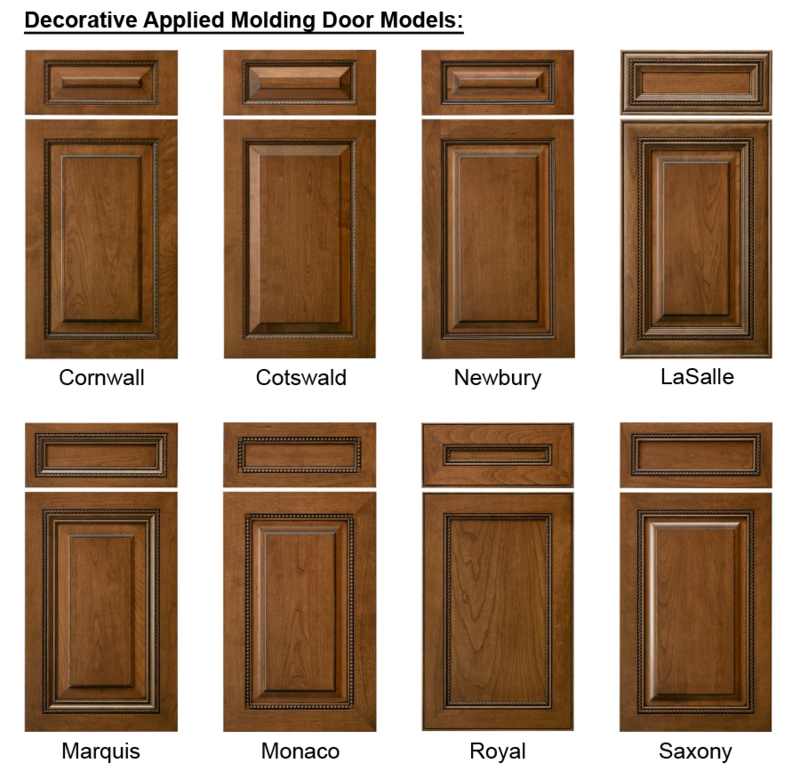 WOULD YOU LIKE ANY OPTIONAL FINISH TREATMENTS (glaze, etc)? Remember, this is just for basic pricing, You can change your final selections with your sales rep later. 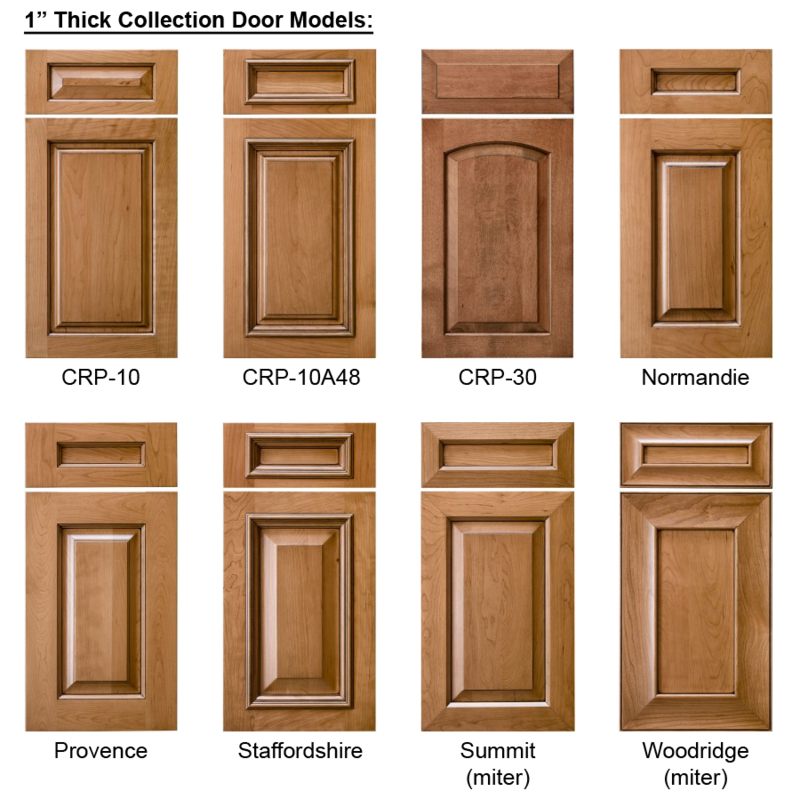 Distress = pings, dings, nicks and impressions added to doors/drawer fronts and moldings. Simulates age and wear. Strongly recommended that this be combined with glaze option. Glaze generally adds 8-10% to your price. Not all glazes are available on all stains. 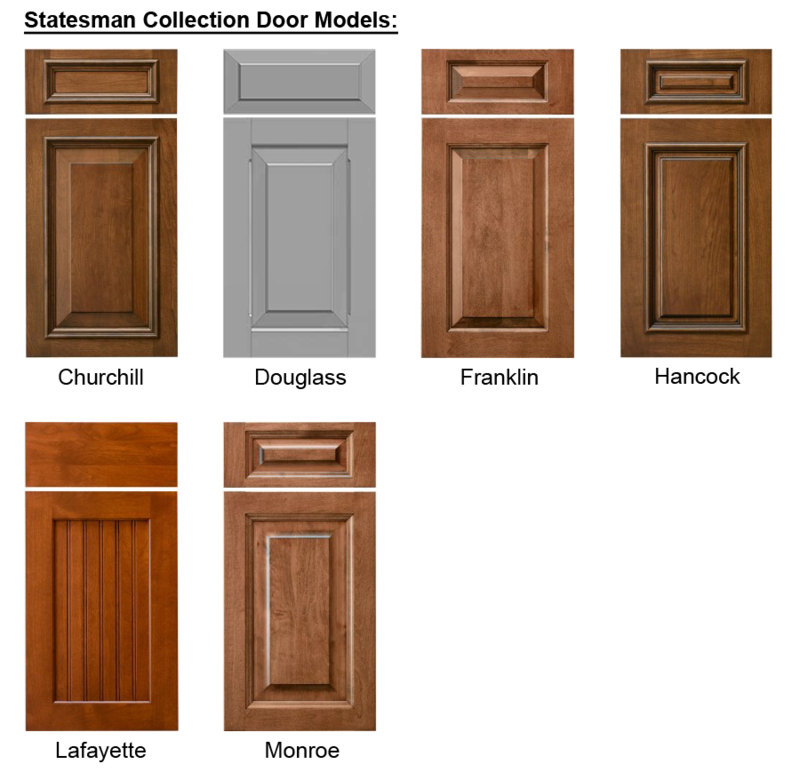 Available stain/paint colors and combinations can be viewed by clicking the following link (page 14-25): Finish Programs (Wood Offerings by Color Matrix). Glaze generally adds 8-10% to your price. 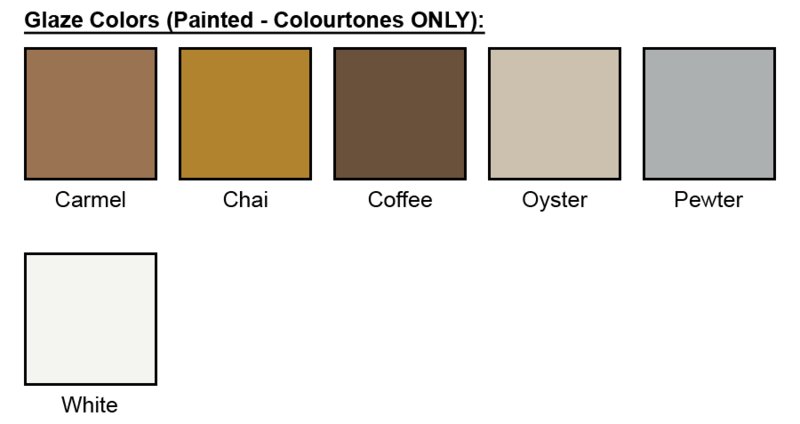 Not all glazes are available on all Paints. 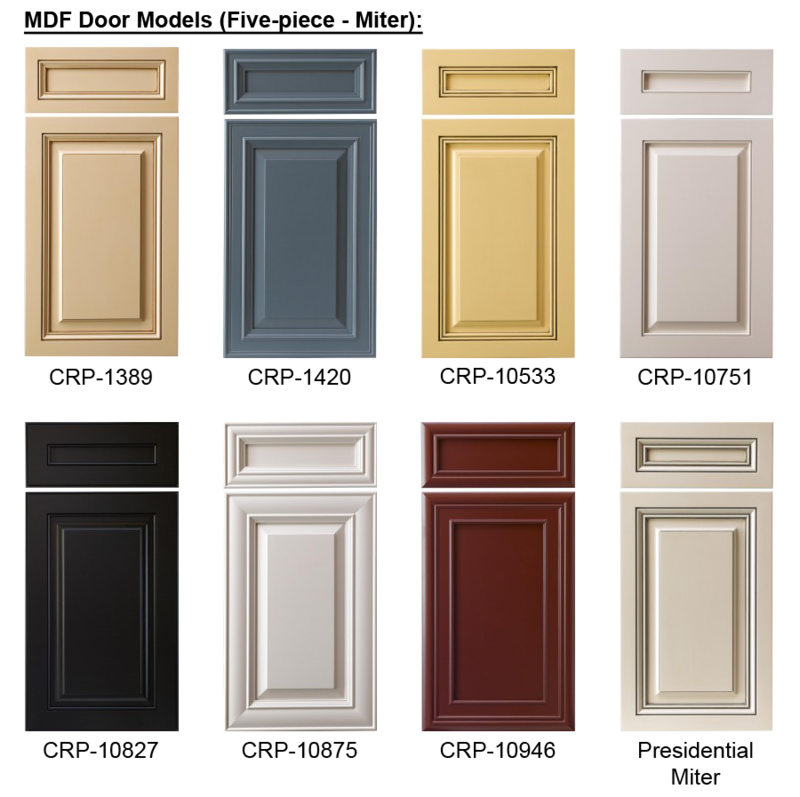 Available stain/paint colors and combinations can be viewed by clicking the following link (page 14-25): Finish Programs (Wood Offerings by Color Matrix). CAN YOU SHARE YOUR ROOM LAYOUT OR OTHER FILES? You can skip this and supply a list if you have no images or layout. Sketches, layouts, pics of your existing kitchen, inspiration images, etc are all very helpful as we process your quote. If not, that is OK! We can do a rough quote from your attachments or room layout. Do not feel you have to complete this list. Do so only if it is easier for you. 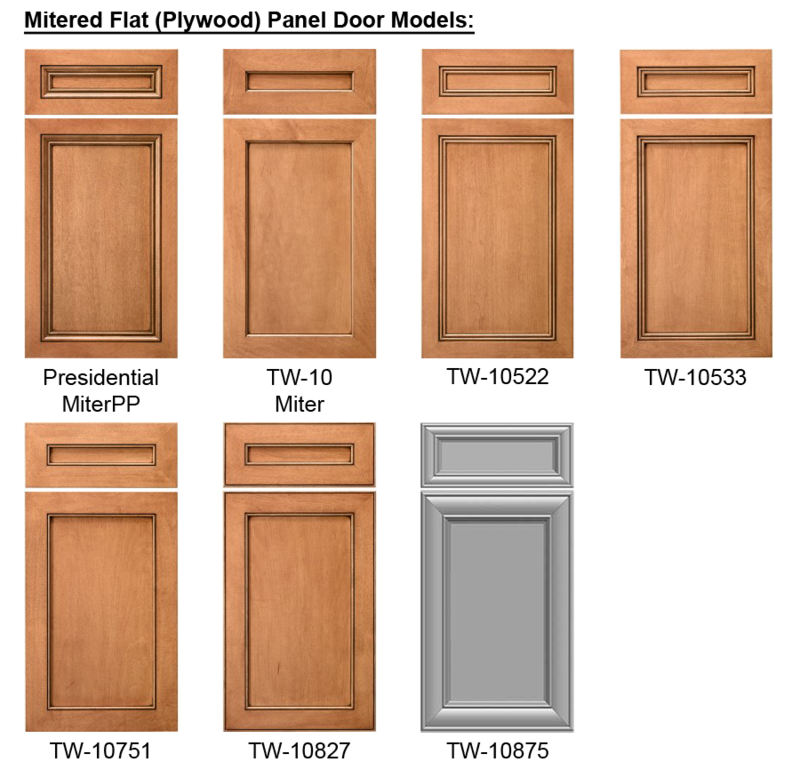 Finished Ends for Cabinets (Left/Right/Both)? Other Options (extend stiles, etc)? ANYTHING ELSE YOU WANT TO SHARE ABOUT YOUR PROJECT? Any special items you want to add? We'd like to know a little more about you! We only use your Address to calculate shipping. You will not be added to a mailing list without your permission (We hate a full mailbox too, unless it contains a letter from mom). We only need this in case we need to contact you regarding questions or problems with your submission, etc. We wont call you repeatedly while you are at dinner, we promise! We only need this in order to send you your quote file! We won't fill your inbox with junk mail...unless you ask us to! ARE YOU ALREADY WORKING WITH ONE OF OUR SALES REPS? We just need this so that we can either forward your request to your 'special person' or to the next available Sales Representative.